The way in which an older sibling shows their unhappiness can vary from acting out, to demanding your attention when you’re busy with the new baby, and even regressing, where they may want to return to babyhood. 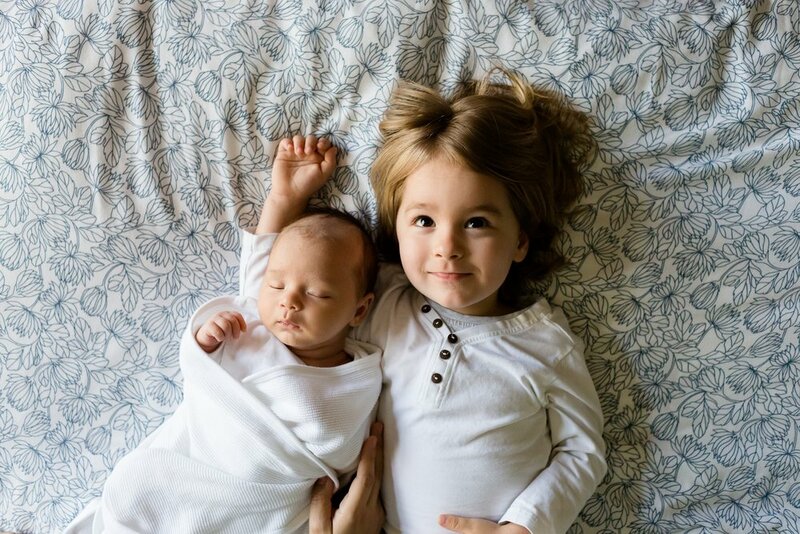 So what can you do to help your child accept a new sibling? Give them special jobs. Let your firstborn help out – they may surprise you with how much they can do. Think fetching nappies and stroking baby when he/she cries. Ask for advice. Ask your toddler: "Do you think the baby would like to wear the blue shirt or the yellow shirt?" or "Do you want to help me tell a story?" Toddlers often have a natural flair for entertainment – singing, dancing, or just making faces – and a baby is an appreciative audience. Watch the baby together. Invite your child to observe the baby with you. Hold them close and ask them to describe what they see. Acknowledge their feelings. It's normal for your toddler to feel a range of feelings about this new change in the family. After all, they suddenly have to share you with someone who needs an extraordinary amount of your time and attention. Rather than scolding them, acknowledge their feelings, they may just need to know you understand their feelings and that you can take a minute to listen to and hold them. Spend a little time alone with them. Spend some time each day with just your toddler, even if it's only a few minutes of drawing or building with blocks. This time makes them feel special and reminds them that you're their mommy as well as the baby's. Let them do their own thing. If your toddler doesn't want to be involved with the new baby, don't push it. A lot of kids cope with the change by "ignoring" their tiny siblings – at least for a while. So you don't need to expect them to play a greater role than they want to. They'll come around in time.